I know what you think: why would I buy an overpriced celebrity clothe line instead of any other brand? And that’s exactly what I was thinking before checking Kendal and Kylie’s line for Topshop. You know I love keeping it casual and not spending a fortune over outfits. But I have to say I found their line sooo good that I’m actually looking forward on trying some of these clothes. The whole collection is full with these amazing California vibes!relaxed and beachy! Shorts,overalls,tees in reasonable prices and great color patterns! 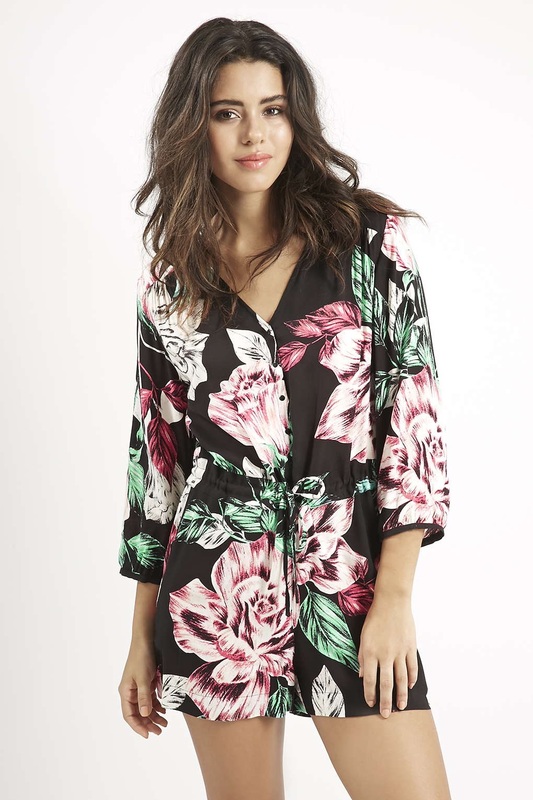 I’m actually ordering the floral jumpsuit cause I simply can’t resist!! I wasn’t that surprised with the Kardashians fashion line but with the Jenners’ .. Well,I have to say they get what’s trending and elevating it a notch! What do you thing? Have you shopped already?